The year 2018 has proved to be a positive year for luxury carmakers in India. BMW, Mercedes-Benz, Volvo and JLR have all reported sales growths in the first half of the year. How is the luxury car market in India, which also clocked a whopping 18 per cent growth last calendar year 2017, growing and shaping up? The luxury car market is very small compared to the overall car market. While the market has grown in the previous year, a high rate of GST in India, which is 48 per cent for sedans and 50 per cent for sports utility vehicles or SUVs dampens and restricts the potential of the market. We expect the luxury car market to continue growing at a reasonable pace even this year. 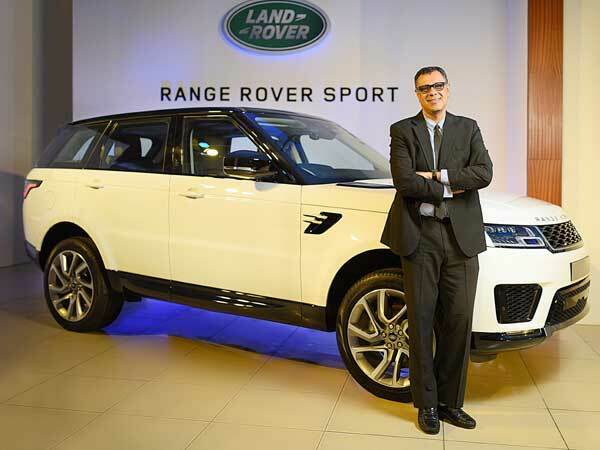 Sales at Jaguar Land Rover India grew a whopping 66 per cent in the first half of calendar year 2018. Will you sustain this in the remaining second half? The 83 per cent growth by Jaguar Land Rover for the financial year 2017-18 as well as the 66 per cent growth in the first half of the calendar year 2018 is good evidence of continued patronage of our two brands, Jaguar and Land Rover. This has been on the back of a robust product strategy, focused sales and after-sales efforts as well as customer engagement initiatives. We have planned 10 product actions this financial year and increased participation focus on our two marquee events, The Art Of Performance Tour for Jaguar and The Above and Beyond Tour for Land Rover. In addition, we have an attractive financial services plan that allows prospects to become customers, with EMIs starting from under Rs 30,000 per month. All of this should help us maintain a double-digit percentage growth momentum through the year. Apart from the metros, which are the emerging markets that are contributing to your sales growth? Jaguar Land Rover India has 27 retail outlets in 25 cities spread over Tier-I, Tier-II and Tier-III cities. Cities like Kochi, Pune, Vijayawada, Nagpur and Lucknow are also helping us in our sales growth. The luxury car market is getting aggressive by the day with launching of all new models and refreshes. What actually drives the sales momentum in India apart from the growing number of millionaires? The luxury car Market in India is very small compared to other international geographies. There is a substantial amount of pent up demand. However, heavy GST taxation is dampening the growth of the market and plays a hand in restricting the true natural capacity of the market. India surpassed Germany to become the No 4 automobile market in the world last financial year. How important is this market for your parent company? India has a very significant place in the overall strategy of our parent company. It holds a lot of future potential and growth opportunities in the years to come. What are your plans to further increase local production of Jaguar Land Rover cars at your factory at Chikali, near Pune? Has it helped to reduce prices and increase sales? Our plant in Pune is designed to cater to the local demands and needs, but using world class manufacturing tools and processes. We produce six nameplates in India – the Jaguar XE, Jaguar XF, Jaguar XJ, Jaguar F-PACE, Range Rover Evoque and Land Rover Discovery Sport. Our local manufacturing facility is not just a part of the Prime Minister’s ‘Make in India’ story, but has played a key part in our growth story. All the six models we manufacture at Pune have met with tremendous response from the market. It surely has helped improve our cost structures due to lower duties and therefore are able to pass on the benefits to our customers, thus increasing sales. Future plans will be discussed at an appropriate time. What is your take on electrification of cars in India? Is it the future despite flip-flop policy of the government on the issue? What it takes to boost it to prevent our cities from polluting? Electric vehicles are a part of a future with low emission/no emission vehicles. For the foreseeable future they will co-exist with Internal Combustion Engines as well as Mild and Plug-In Hybrids. The Government of India has plans to make India a leading EV market by 2030. We look forward to establishment of robust charging infrastructure and an overall improvement in the eco environment to support the operationof electric cars. As you are already aware, JLR has recently launched the all-electric Jaguar I-PACE in global markets. How much have you invested in your brand in India till now, including your factory in Pune? How much profit did you make last year? We regret we are unable to share any financials in this regard. Any other aspect of Jaguar Land Rover or luxury car market you would like to share? Jaguar Land Rover India is very much a part of the e-commerce revolution in India. With findmeacar.in for Jaguar and findmeasuv.in for Land Rover, you can now book a Jaguar or Land Rover car from the comfort of your home or office at any convenient hour. It allows you to browse through our available range of models, select the best model, choose trim, options and colour and have your car delivered to your preferred retail outlet. You can also see our Approved, our used car listing on these websites and choose the model of your liking with attractive finance and warranty schemes that provide complete peace of mind. We have attractive five-year service plans, financial schemes under Jaguar Land Rover that are flexible and reduce the entry barrier for our cars and a state-of-the art after-sales infrastructure with highly trained personnel that can address the needs of our customers.